One Zephyr float... or three? Amongst some floats lurking in the bottom of a box of tackle bought at a boot sale were these three little darlings. One is a Zepyr 6" (it says so on the side), but are the other two Zephyrs as well? No name on them but made from paper rolled around fine cane stems. Any thoughts Gents? Re: One Zephyr float... or three? Gents thanks for your input, I wondered if they were home made, or if the quality control at Zephyr deteriorated as time went on! I do love the rustic homemade look of older floats - good enough for the job in hand but not so perfect you'd be afraid to use them. 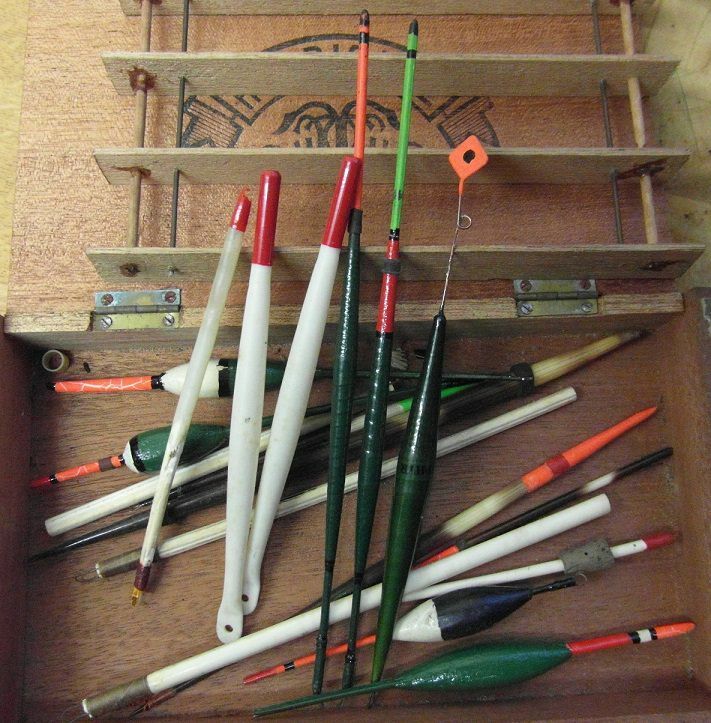 You can imagine the person that made them sat with the paintbrush in an evening stocking up their tackle box, studying the commercial ones to design their own - as a traditional angler that does the same it sort of connects you to the people that made them.